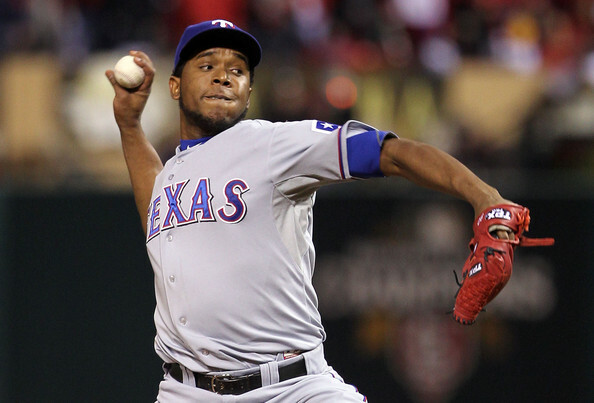 A lot of people have written about how twice the Rangers were one pitch away from winning the 2011 World Series. But my friend Gar Ryness (better known as The Batting Stance Guy) pointed out an interesting fact. They were an out from winning the World Series in back to back innings, but they weren’t one pitch away from winning twice. 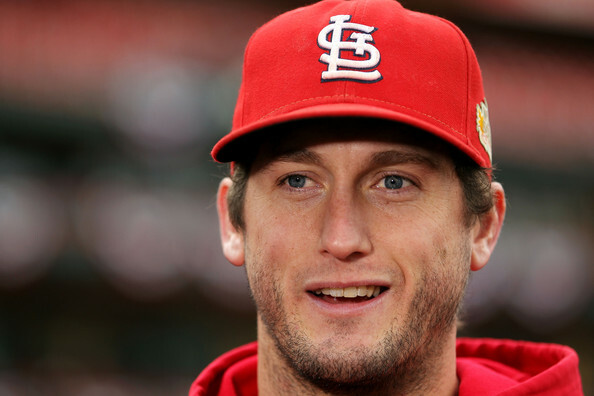 They were one pitch away from winning the 2011 World Series 15 TIMES! On 15 different occasions, a Ranger pitcher threw a pitch that could have clinched the World Series if a reasonable scenario took place. In the 9th inning with one out and runners on first and second, Allen Craig came up where a ground ball could have turned into a World Series clinching double play. 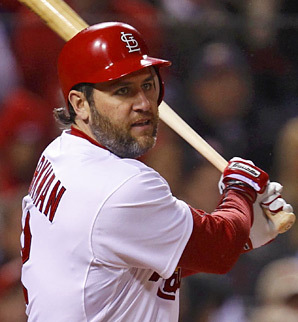 Yeah both David Freese and Lance Berkman had their at bats go down to the final strike, but they could have popped up or grounded out on the first, second or third pitches. And I am not coming up with outlandish “Line Drive Triple Play” scenarios nor counting the four balls thrown to Albert Pujols when he was intentionally walked in the 10th inning. Remembering my brother in Curse of the Bambino dialing my uncle for each pitch the Red Sox could have clinched in 1986, I know all too well that the expectation of excitement builds with each pitch. 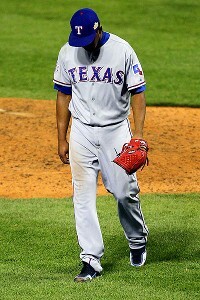 Rangers fans, I feel for you. And let’s review all 15 pitches. PITCH 1 – Low, 1 Ball 0 Strikes. PITCH 2 – Low, 2 Balls 0 Strikes. PITCH 3 – Called Strike, 2 Balls 1 Strike. PITCH 4 – Lined Foul to left, 2 Balls 2 Strikes. PITCH 5 – Popped foul behind the plate, 2 Balls 2 Strikes. PITCH 7 – Low and Outside, 1 Ball 0 Strikes. PITCH 8 – Called strike on inside corner, 1 Ball 1 Strike. PITCH 9 – Swinging strike, 1 Ball 2 Strikes. PITCH 11 – Fouled back out of play, 0 Balls 1 Strike. PITCH 12 – Inside, 1 Ball 1 Strike. PITCH 13 – Swinging strike, 1 Ball 2 Strikes. PITCH 14 – Low, 2 Balls 2 Strikes. PITCH 15 – RBI Single to Center Field to tie the Game. 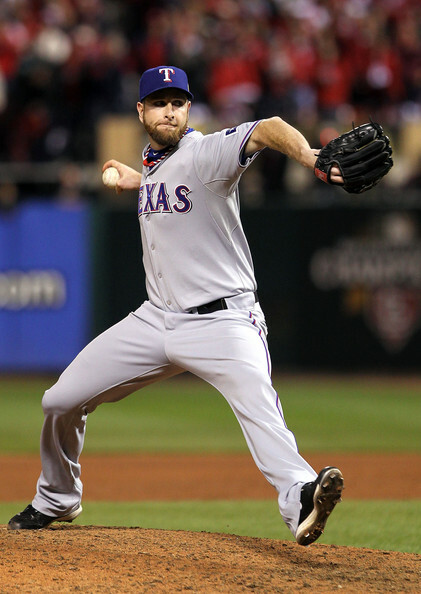 After Berkman’s single, the Rangers were never a pitch away again. Of the 15 pitches, 9 came with 2 outs, where a pop up in the infield or a grounder (or Nelson Cruz timing his leap correctly) would have made champs out of Texas. Alas, 15 pitches weren’t enough. NOW we have a World Series! Not the game. The game itself was a well played, well pitched ballgame. It was tight. It was tense. It was classic post steroids baseball. In other words… BASEBALL. But in terms of the outcome of the World Series and my desire to see the Series tied 2-2 after 4 games, it sucked big time. 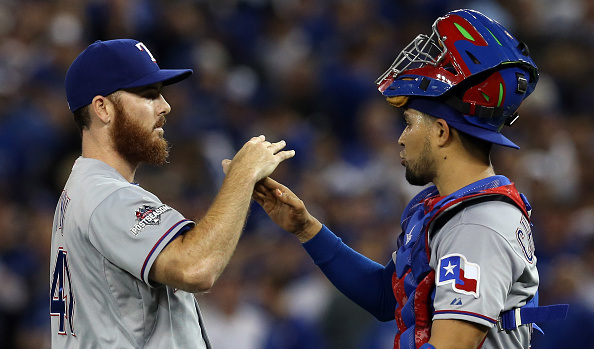 Yet another World Series was in danger of being lopsided after 4 games. Yet another World Series was going to be an anti climax, even if the games were well played. But Ian Kinsler and Elvis Andrus getting on base against Jason Motte and coming around to score and Neftali Feliz holding the Cardinals saved the World Series. For the first time since Rivera blew the 2001 World Series we had a team come back to win a World Series game they trailed after 8. 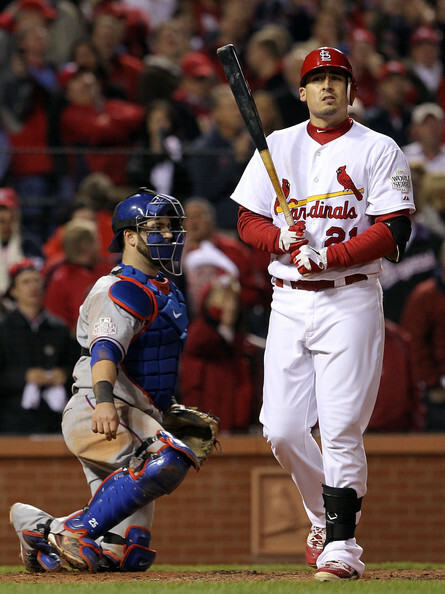 And while it would have been cool to see Allen Craig become a pinch hitter World Series MVP, it is better for baseball to see this Series up in the air after 2. Now split the next 2 and guess what? We might have ourselves a potential classic World Series. 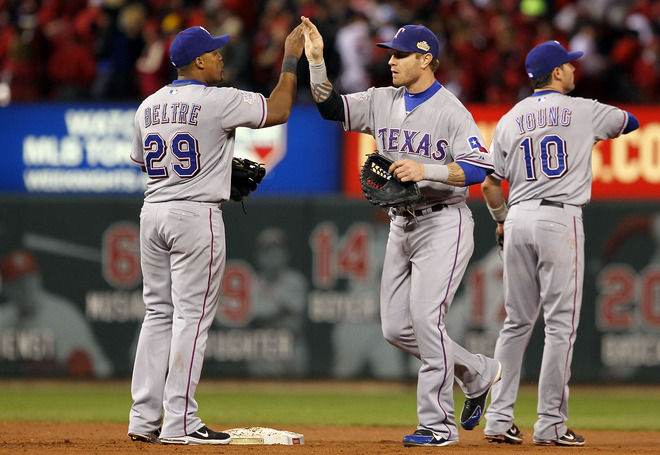 I still want the Rangers to win the World Series. But in Game 4 I am rooting for whomever lost Game 3. Baseball needs a World Series classic. 2 games in and 2 one run games in, we are off to a good start. The next two are key.